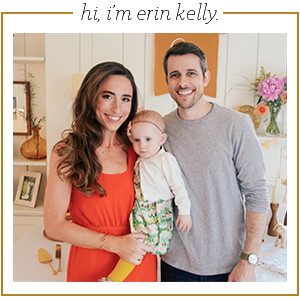 Our nursery is the smallest room in our house, so one of the biggest goals of this space was to maximize every square inch to handle the onslaught of baby gear, toys, and clothes. I really wanted to create storage areas that look awesome and are highly functional (I often sacrifice functionality for form). So we started with adding additional storage to the closet. 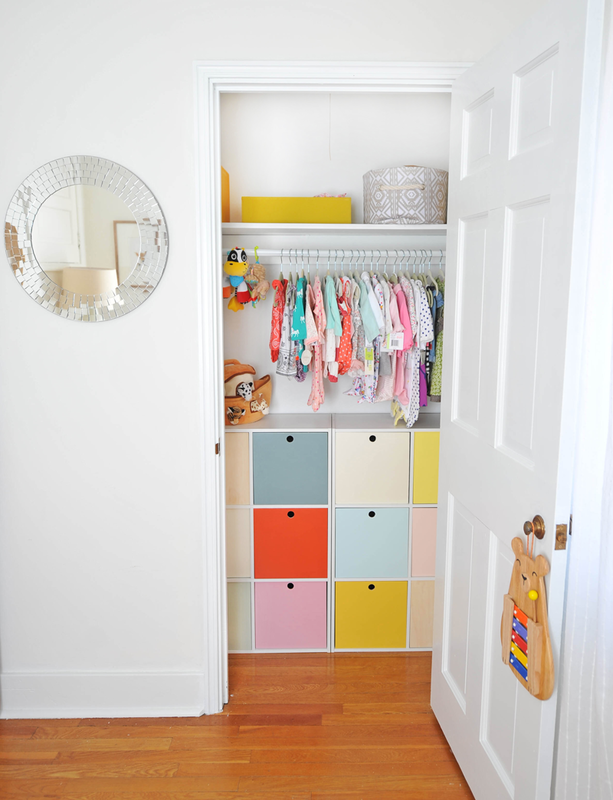 Closets are such an easy-to-overlook space and ours get disorganized quickly. I'm positive once the baby arrives this closet will get messy and my perfectly styled space won't be photograph-worthy. But for now, I get to relish the order and pristine nature of the nursery and smile every time I peek in at this little space. 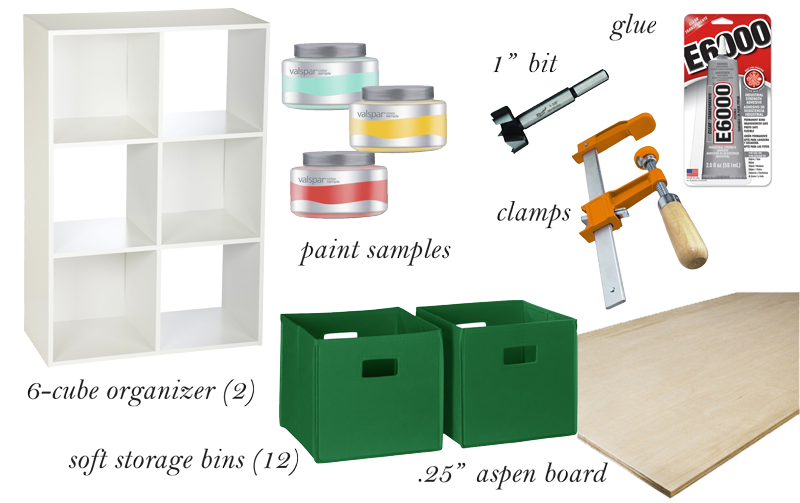 We started this project by finding these 6-cube organizers on Amazon. When we measured the closet, we discovered that two organizers placed side-by-side would fit perfectly in the space (that never happens, so we were psyched!). 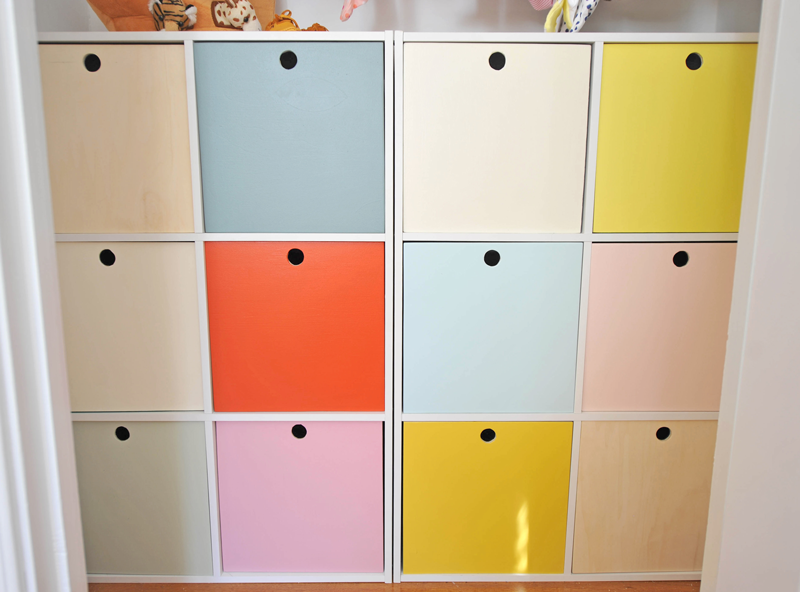 If these organizers don't happen to fit your space, you could check out Ikea's shelving storage options for this project as well. 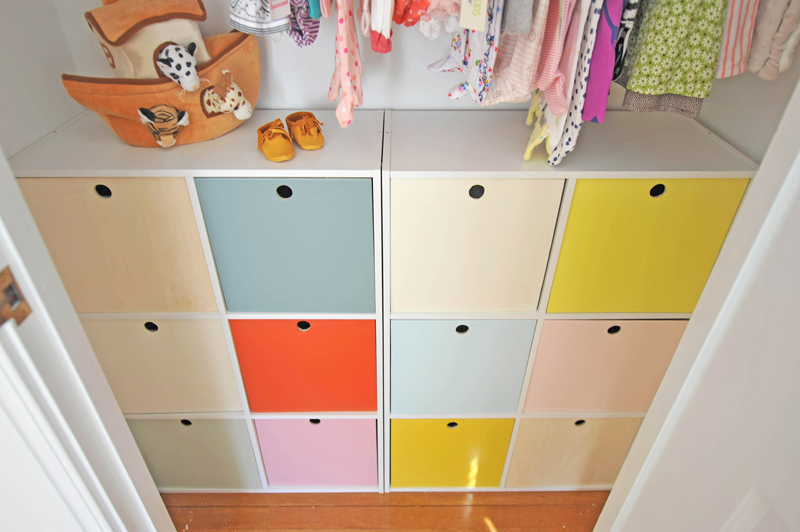 After assembling the cube organizers and placing them inside the closet, I started looking for affordable cube bins and fell in love with all the Land of Nod choices, but didn't love the idea of spending over $150 for 12 bins. So I found these on Amazon ($6.29 for 2 green bins) and came up with the idea to add new front panels. Rich spearheaded this DIY, but I'm going to do my best of outlining how he did it. To start, he cut 11"x 11" squares from a 2'x 4' piece of 1/4" thick Aspen board and used a 1" Forstner bit to put a hole at the top. He sanded the faces and using e6000 craft glue, glued the square boards to the bin faces and clamped them together to dry for around 24 hours. Once completely dry, he primed the boards with shellac primer and painted 10 out of the 12 faces with colors from paint samples we bought at the local hardware store. We decided to leave two of the 12 as unfinished wood because we liked the look. 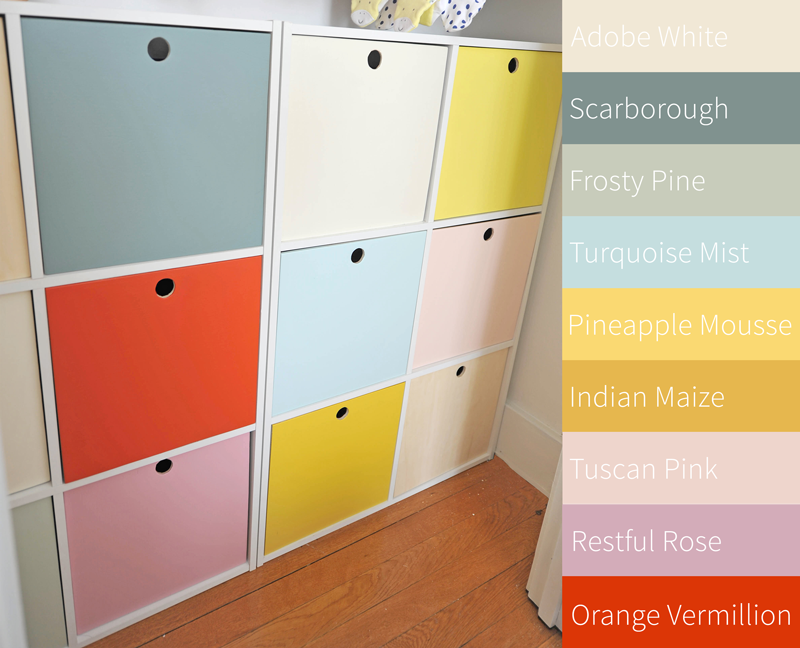 The color palette of the paint we used is listed below. 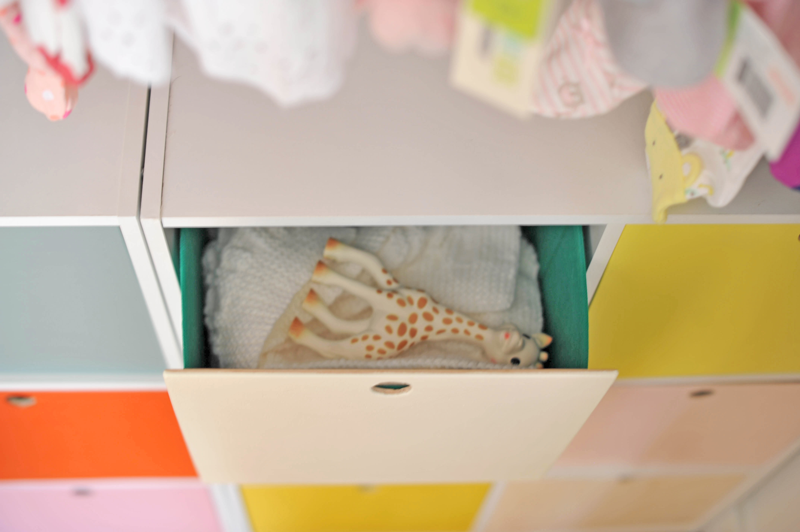 What I love most about this project is that it doesn't have a strictly nursery feel and can evolve with our little gal's style. And heck, if she doesn't want in her room at some point, I will gladly take it in ours. This is so cute! Great idea! I love all of the colors.